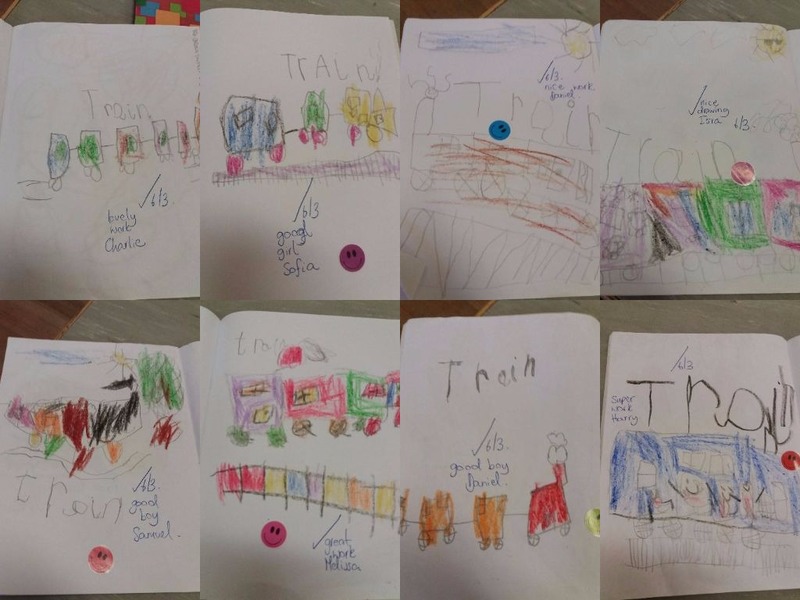 In February, we learned all about vehicles and different modes of transport. 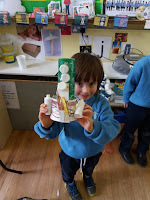 We learned about transport long ago and we sorted vehicles into old and new. 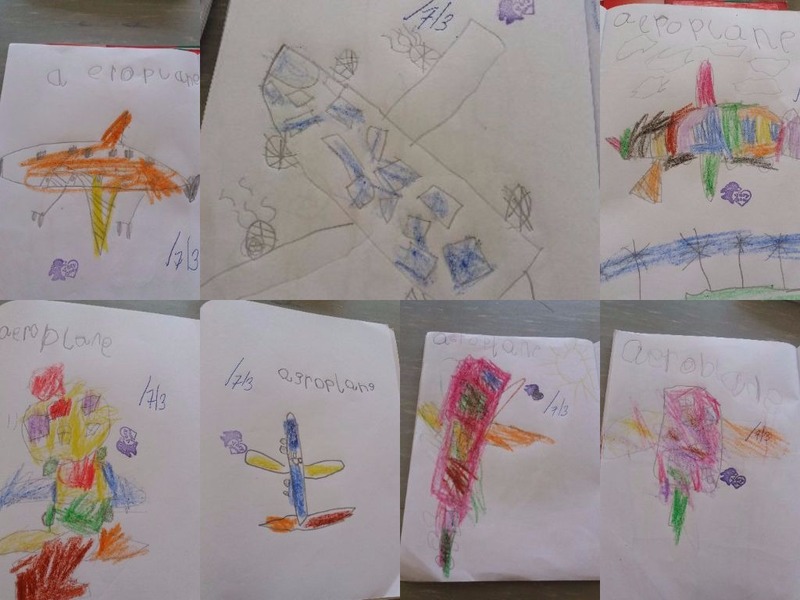 We set up an 'Airport' in our role-play area. 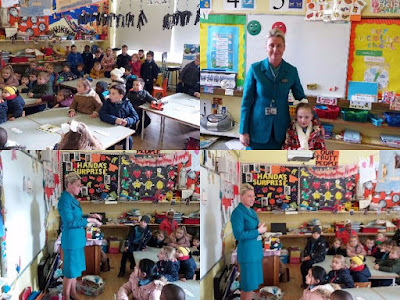 We had a special visitor this month-Melissa's mammy works in the airport and she spoke to the three Junior Infant classes about everything that happens in the airport. 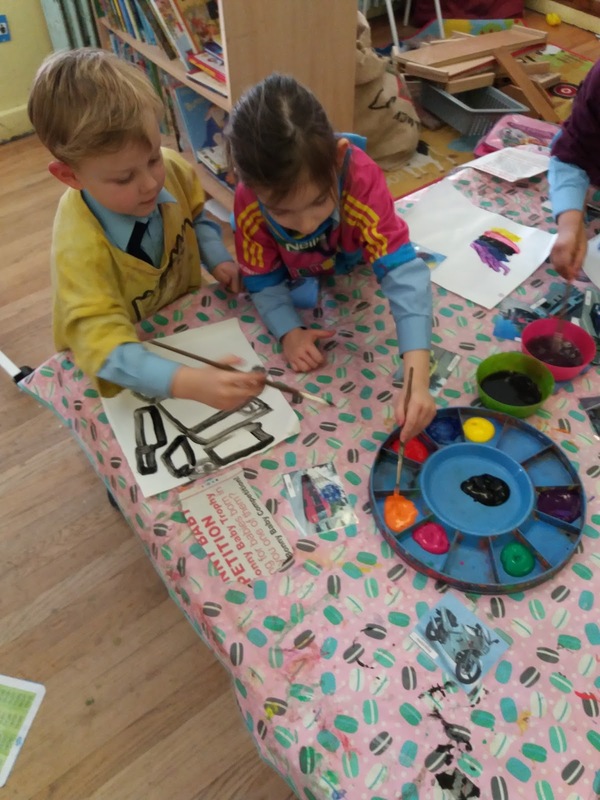 During Aistear, we engaged in 'free painting' of vehicles, we constructed vehicles in Junk Art and got into character in the airport. 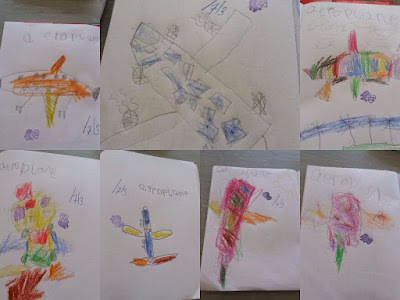 We drew pictures of a car, bus, train and aeroplane in our copies this month. 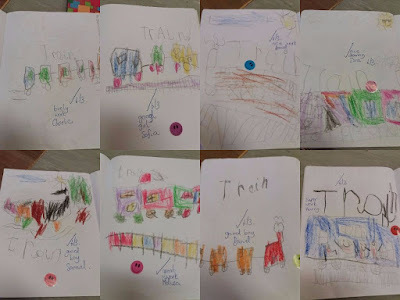 We even wrote the words beside each picture. 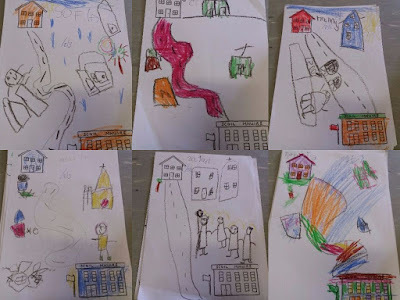 We drew pictures of our journey to school and we included all the buildings, parks and vehicles we see a long the way. We are very observant at taking in the world around us.